WIDER: Width equals opportunity when whiteboarding, and 2Touch offers the widest, most flexible interactive whiteboards around by far. Sizes up to 103" (diagonal) are made in NZ. EASIER: Use finger touch on the whiteboard to control any computer. 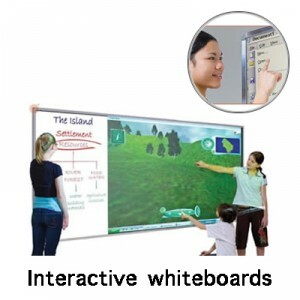 Plug-and-play instant connectivity makes 2Touch IWB's accessible any time, to anybody. TOUGHER: 2Touch uses porcelain steel whiteboard surfaces. Only porcelain steel is proven to last the distance as a marker-ready whiteboarding surface. SMARTER BY FAR: The 2Touch IWB provides superior flexibility: Use them with markers as a conventional whiteboard, or with finger-touch when connected to your computer - or both!